Buckle Up! We Have Another Studio C Reverse Mad Libs For You! Are you ready for another reverse mad lib story?! 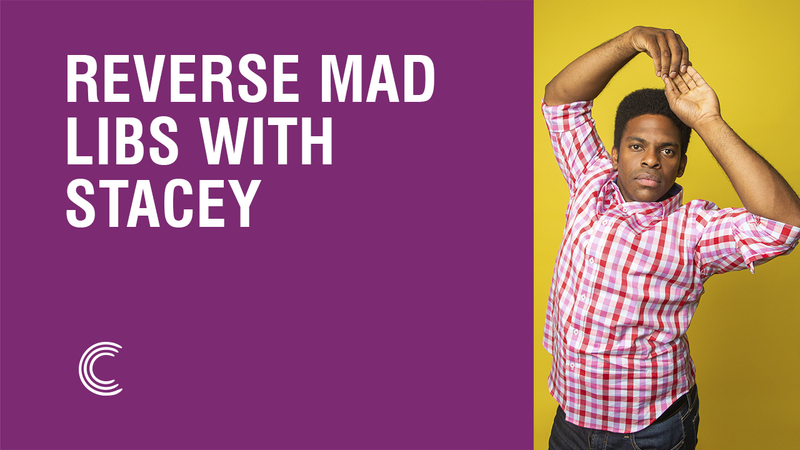 This week, Stacey is here and is ready to show you his twist using our nine words! 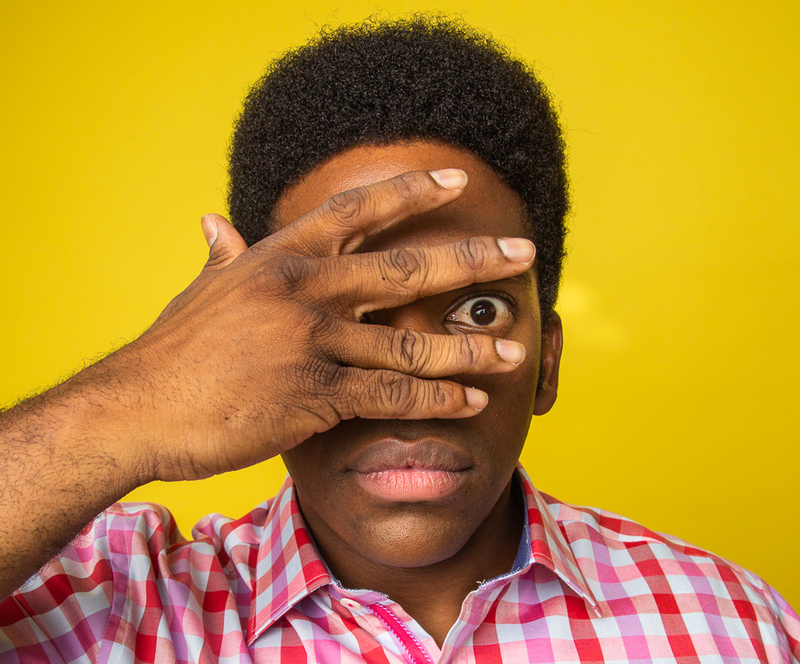 To put the cast of Studio C to the test, we gave them nine words to use in a creative story. The story can be long or short, funny or serious, and can be about ANYTHING. 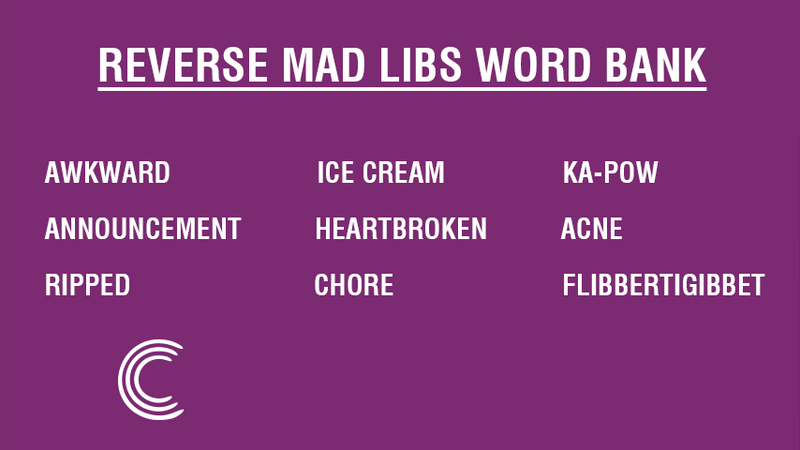 Awkward, ice cream, ka-POW, announcement, heartbroken, acne, ripped, chore, and flibbertigibbet. 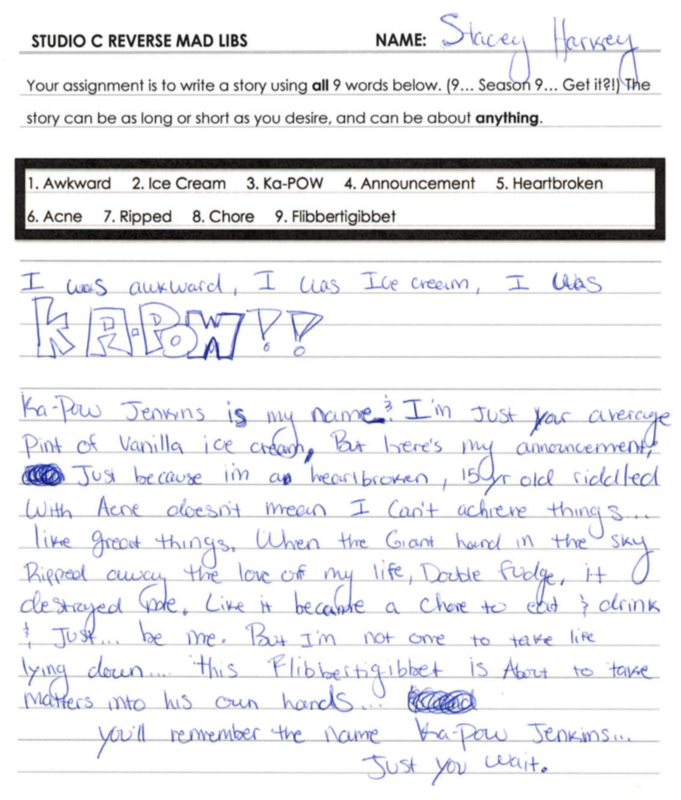 I was awkward, I was ice cream, I was KA-POW!! Ka-Pow Jenkins is my name and I’m just your average pint of vanilla ice cream, but here’s my announcement just because I’m a heartbroken, 15 year old riddled with Acne doesn’t mean I can’t achieve things…like great things. When the Giant achieve things…like great things. When the Giant hand in the sky ripped away the love of my life, Double Fudge, it destroyed me. Like it became a chore to eat and drink and just…be me. But I’m not one to take life lying down…this Flibbertigibbet is about to take matters into his own hands…you’ll remember the name Ka-Pow Jenkins…just you wait. There are more stories to come! Can't wait another week for a new story? Be sure to check out Adam and Whitney's stories! We'll see you next week for an all-new Studio C reverse mad libs story from another cast member!